Wipro’s quest of looking to other industries for solving problems unique to the IT sector can easily be traced back to 1997, when Wipro became the first IT Company to replicate Motorola's Six Sigma in a software services business. The operations they are engaged into are about building complex custom software. And, they nowhere look like a manufacturing-assembly line. They were deliberating upon at options that included the Malcolm Baldridge National Quality Award criteria, TRIZ (short for Theory of Inventive Problem Solving in Russian), and Toyota's Lean, Wipro finally decided to pick a leaf from the automaker's production system. It was 2004 when Wipro's leaders decided to build a lean system, in search of a sustainable advantage. Initially, they also struggled to find any parallel between manufacturing cars and writing hundreds of lines of codes for customers you do not even get to see till the project gets over. Although they recognized that this approach was unproven in knowledge work and would require a profound transformation of the company, they believed that the potential payoff—the ability to improve faster than their competitors—was worth the risk. So Sambuddha Deb, now the chief global delivery officer, then the senior manager in charge of operations, assembled nine other Wipro managers. The group gathered around a conference table and asked a simple question: "How do we do it?" Their answer: "We'll educate ourselves. We'll come up with our own ideas for adapting lean to a large-scale software operation, and then we'll try them out." The managers began studying how the lean approach had been applied in manufacturing. They pored over all the written material they could find. 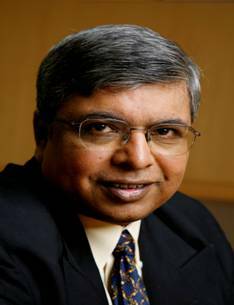 Wipro's managers were unable to find companies that had used lean techniques to produce custom software on a vast scale. And they discovered that even leading strategy consultancies lacked relevant experience. They toured various lean factories in Japan. Initially, Wipro could not get to visit a Toyota factory, they managed to visit one of the world's biggest engine makers for tractors based in Japan. "They were making 200 variants of engines on a single assembly line-that was unbelievable," says Sambuddha Deb. In another such visit to a Japanese factory some five years ago, Deb studied how a company was producing 3-4 variants of one excavator machine every eleven minutes. Later, Toyota invited Wipro's billionaire founder Azim Premji to visit the company's manufacturing plant in India. "What we saw was Corolla and Innova were mixed and were being produced on the same line, but the catch was that nearly 70% of both the variants are same so you can use the same line," he says. Everything, except main engine and chassis, including seat management system, electrical system and braking system are same for both the variants. "One of the most brilliant things Toyota has done is that almost 70% of all their cars are built using standard platforms-they are designed for Lean," Deb says. They also conferred with a former Toyota guru, Hiroyuki Hirano. Then they brainstormed about how to use what they had learned; each picked an existing project to test their ideas on. Gradually they identified practices that worked. What started in 2004-2005 as a 10-projects pilot to apply the automaker's legendary system invented for eliminating all wasted material and labor is now helping India's third biggest software exporter make savings of up to 60% in outsourcing projects, and even win new consulting contracts from customers such as Nationwide Insurance. Picking the first eight projects didn't take long, and only six live projects ended up being successful, bringing a minimum of 20% savings on an average. During 2004-2005 Wipro had around 50 projects on Lean, by 2010, nearly 1,645 projects were live with Toyota's Lean principles. According to research, for every $1, Wipro makes savings of 20 cents on an average. For one of the customers, the gains stretched to over 70% after they used Lean for minimizing efforts (read engineers’ effort) while delivering the project. Nationwide Insurance, America's fourth largest auto insurer is among customers now applying Lean with Wipro's help. The insurance firm, which started with around 17 Lean projects two years ago, has seen $2 million payback from the initiative.